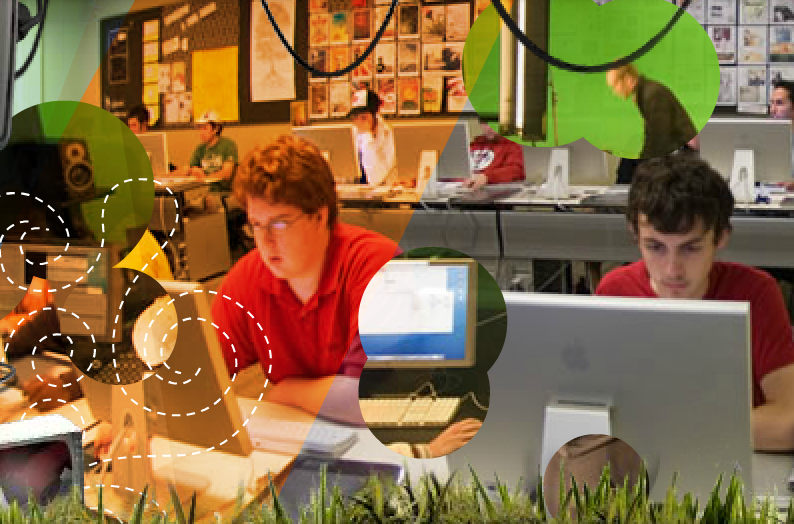 The Digital Art & Design bachelor of science degree program provides a comprehensive look at the entire design process – from concept to creation and from presentation to implementation. Throughout the curriculum, you'll explore the foundational elements of 2D and 3D art theory, utilize hardware and software used by current design professionals, and hone your own eye for visual messaging. With threaded project and portfolio courses, you'll demonstrate your ability to communicate ideas through different media, including video, print, motion graphics, and the web. Career-development modules are woven throughout the curriculum, providing opportunities for you to prepare for a career in the entertainment and media industries. In addition, our Career Development services will be available for support throughout your digital arts and design career path – not just while you are a student. Full Sail University Digital Arts & Design graduate Darren Murphy talks about his passion for drawing, walks us through the creation process for some of the animal-inspired artwork in his portfolio, and shows us the design he created for a LeBron James T-shirt that won him $1,000 in a Blank You Very Much design competition.